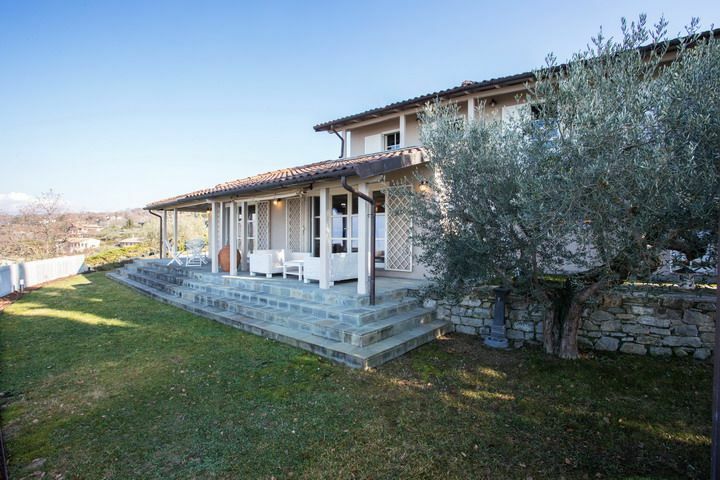 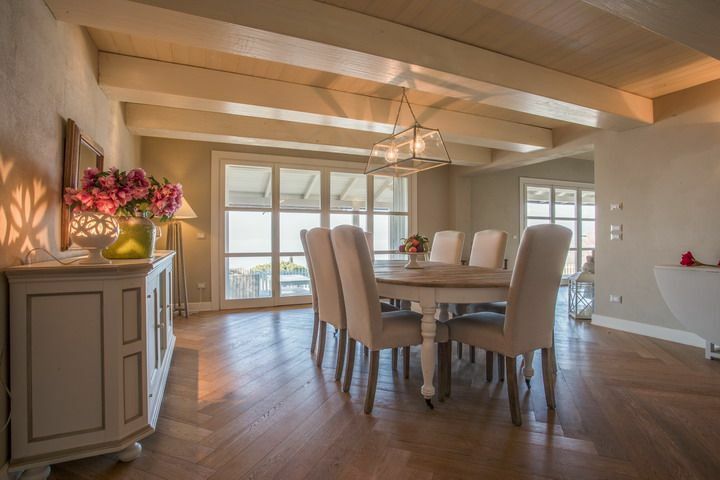 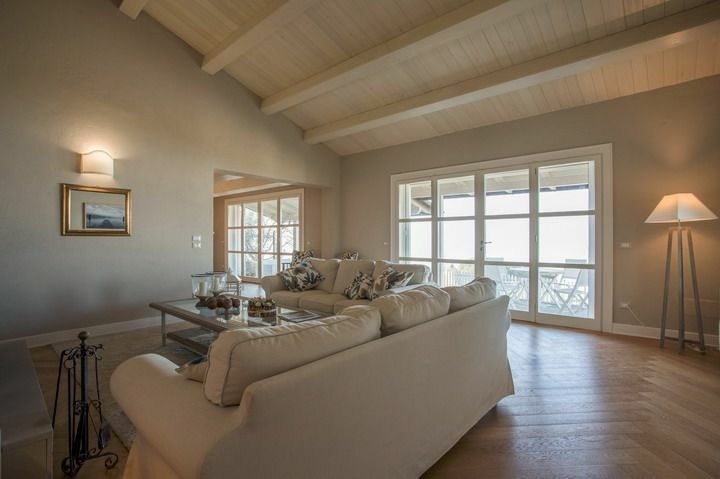 The villa boasts a fully equipped porch with outdoor sitting and dining area offering a pleasant indoor-outdoor living with French doors that open the ground floor to the pool, gardens, and unparalleled valley views. 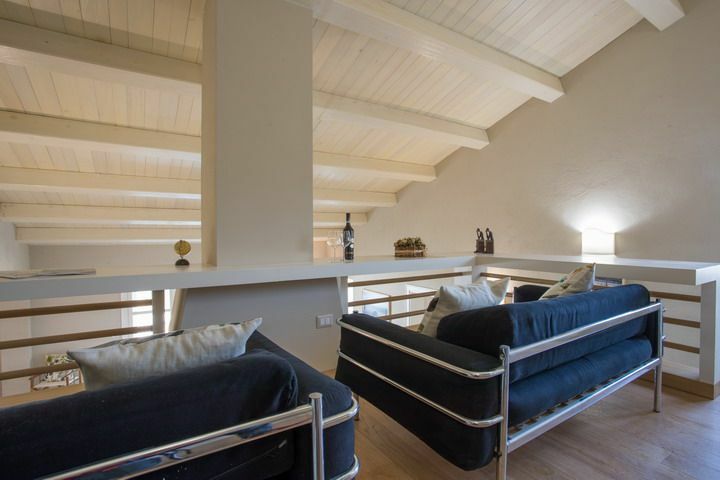 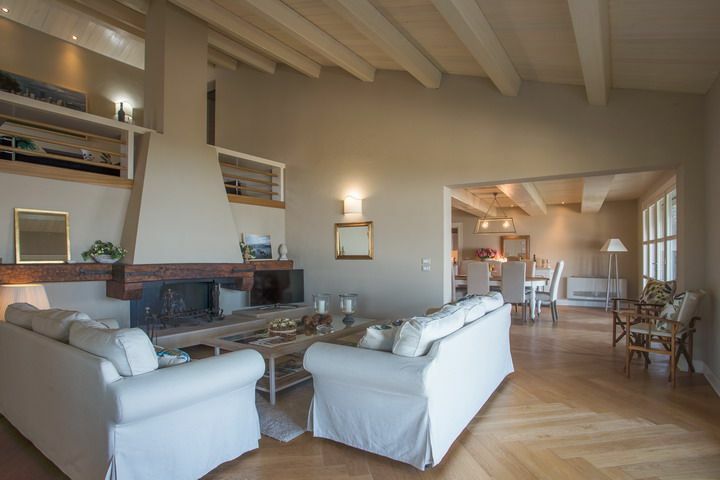 The ground floor features a charming open-plan living room with an imposing fireplace and two comfortable sofas which offer plenty of seating; A big archway opens onto an elegant dining room dominated by a large wooden table which comfortably sits up to 8 persons. 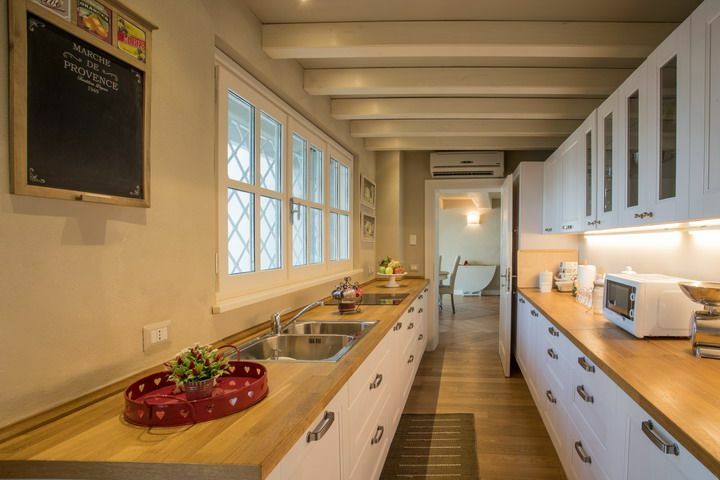 Light pours in through floor-to-ceiling windows creating a welcoming ambience which embraces also the modern gourmet kitchen. 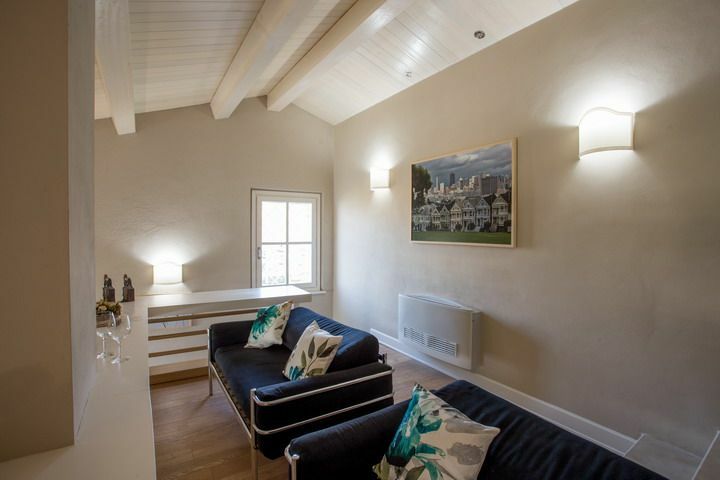 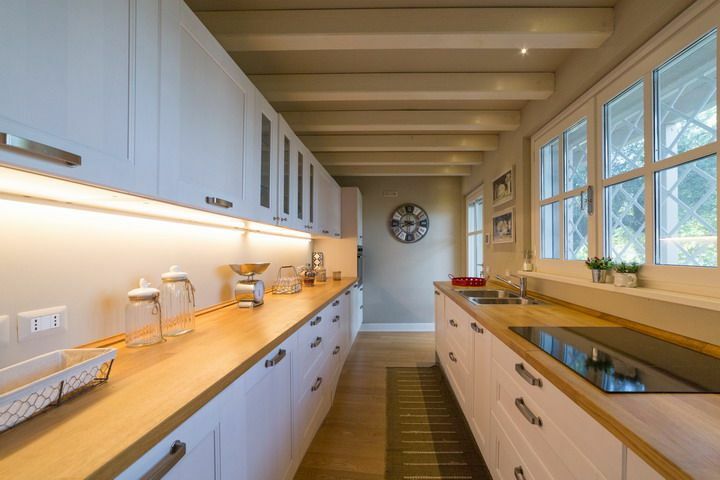 These three spacious rooms feature beautiful contemporary design and create a warm, inviting atmosphere. 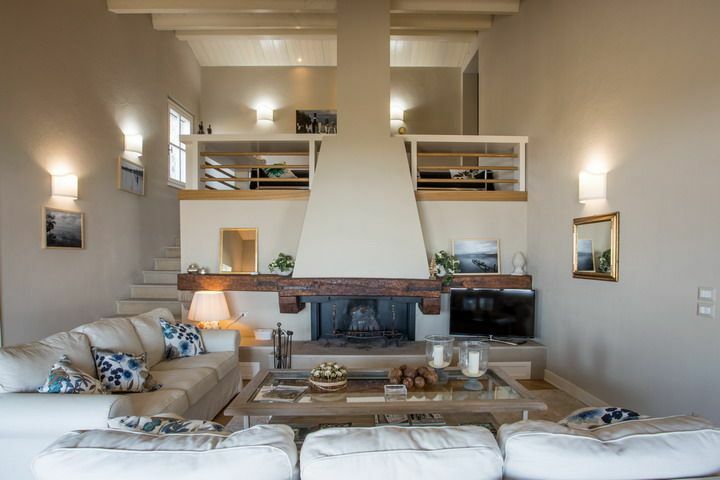 A solid staircase leads you to the upper floor where the night area is spread. 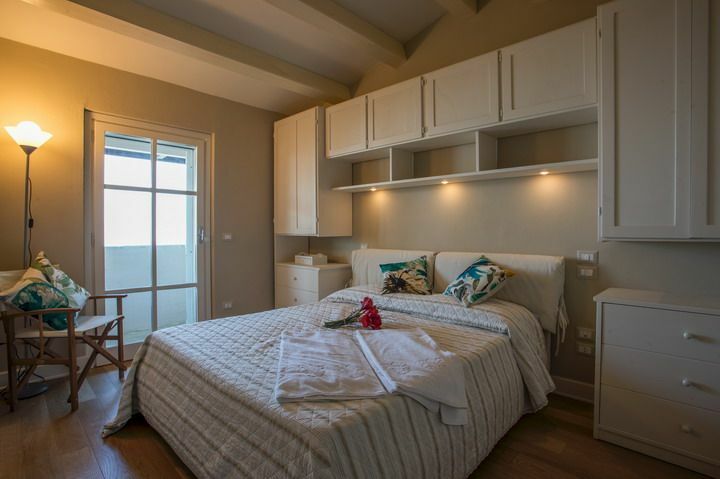 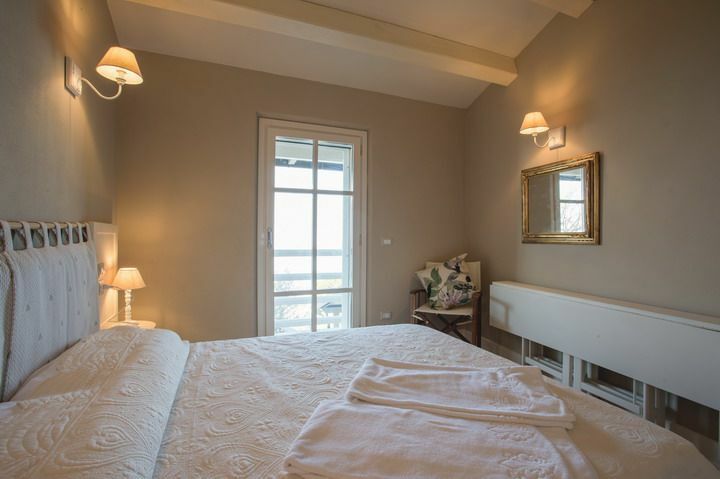 We find three elegant bedrooms, ideal to accommodate small groups or families up to 6 persons. 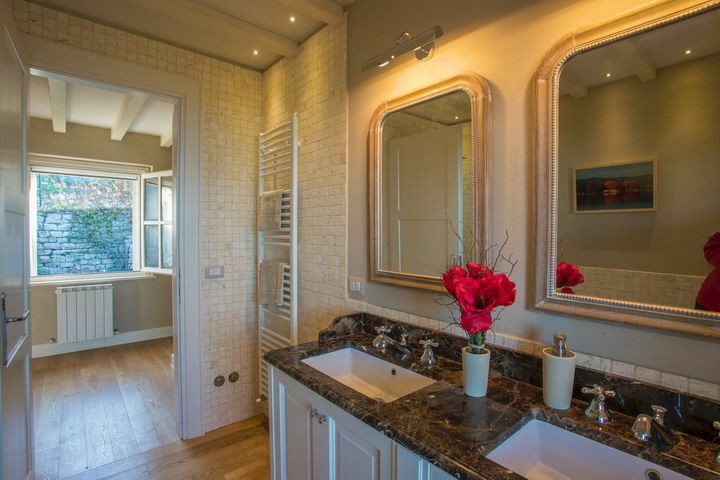 The master bedroom boasts an en suite bathroom with shower. 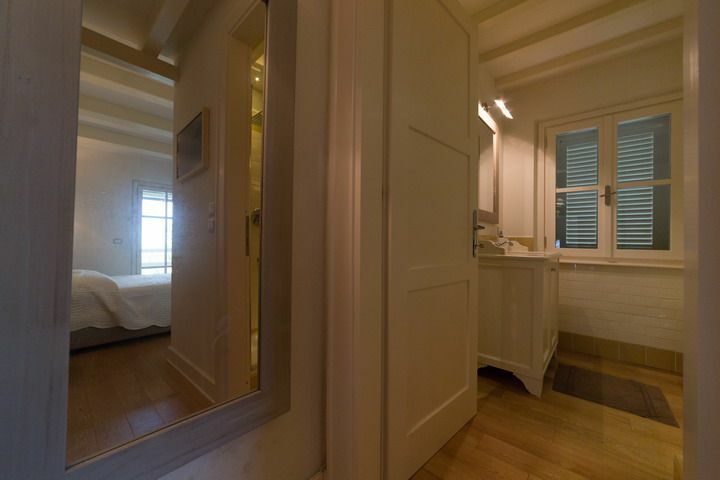 The other two bedrooms, both with double bed, share a large bathroom with twin basin sinks and raintree shower. 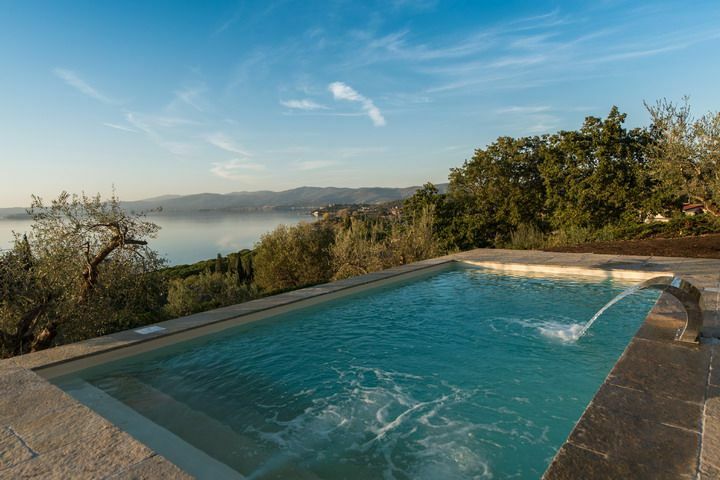 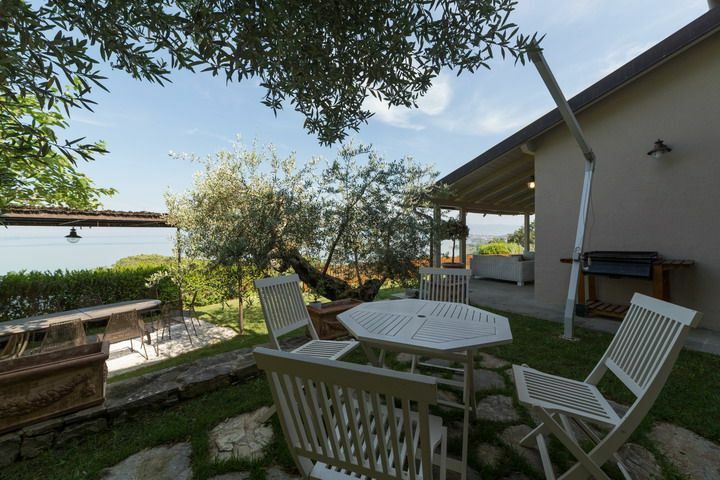 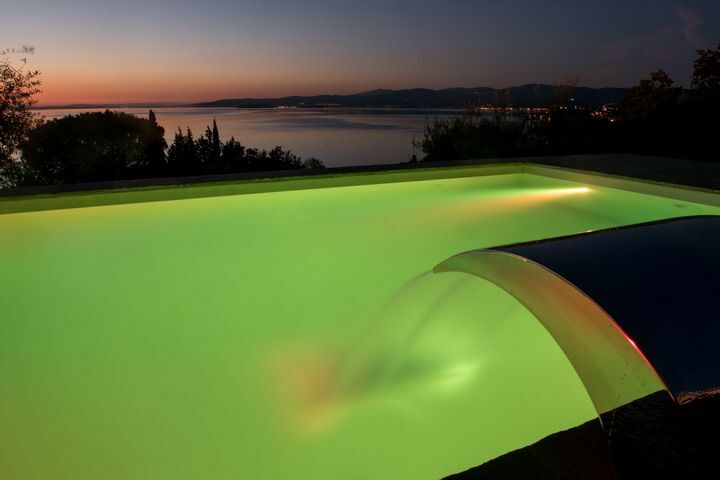 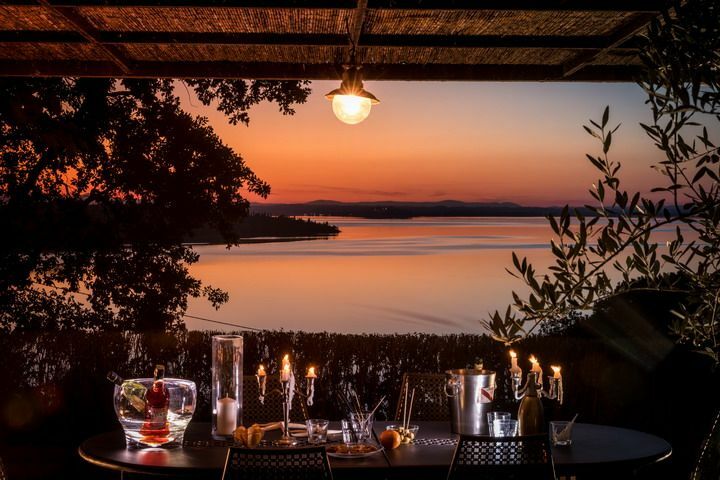 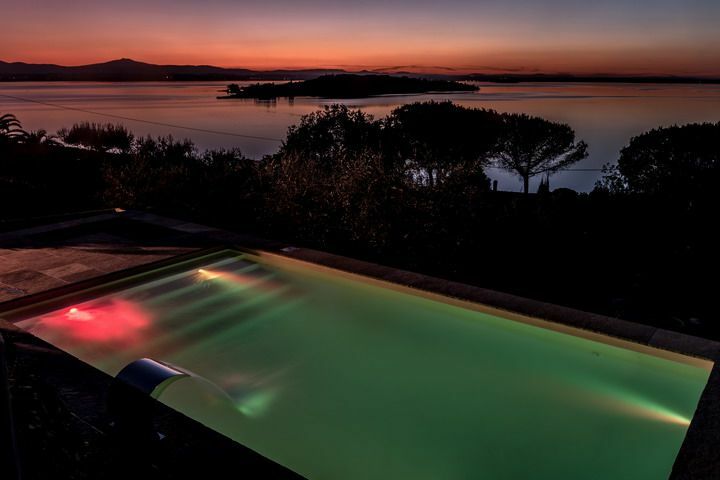 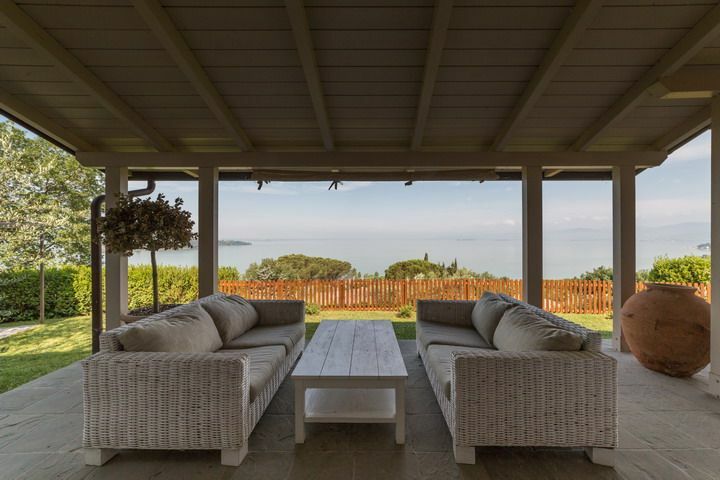 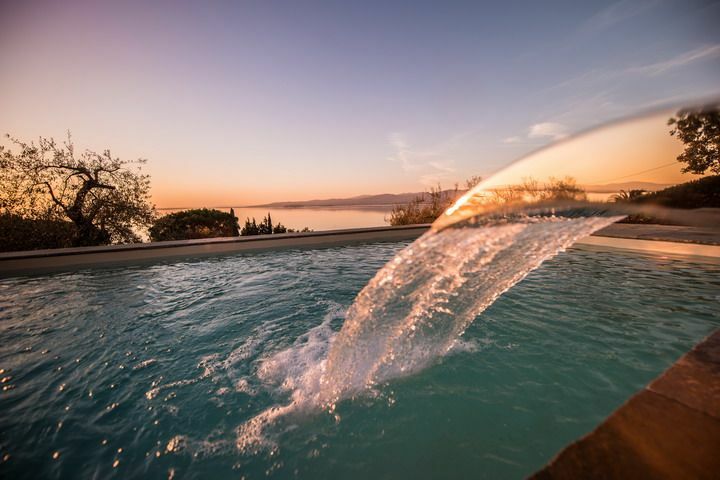 The pool, offering unobstructed views of the Lake Trasimeno, is the perfect relax oases. 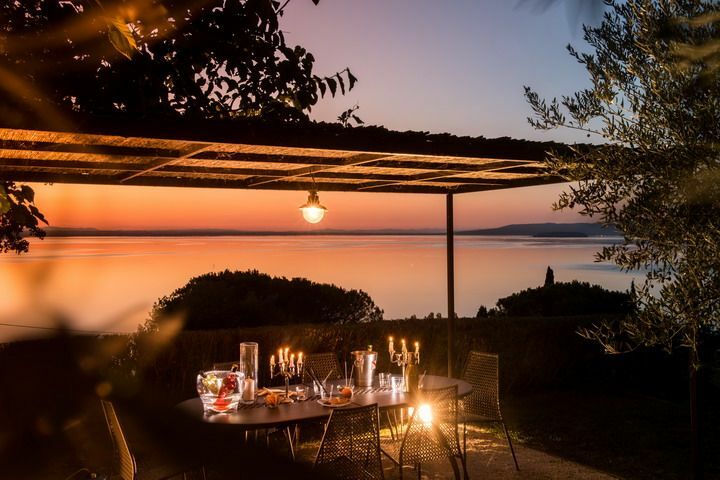 Enjoy the vivid colours of sunset over the calm water of the lake by dining al-fresco in the fully equipped outdoor area which boasts a wrought-iron pergola and a built-in BBQ. 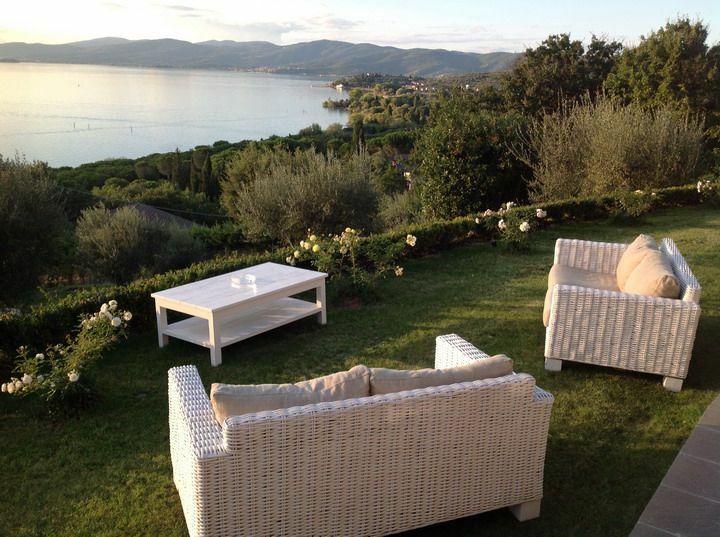 A rattan lounge set is spread around the perfectly maintained garden which surrounds the house. 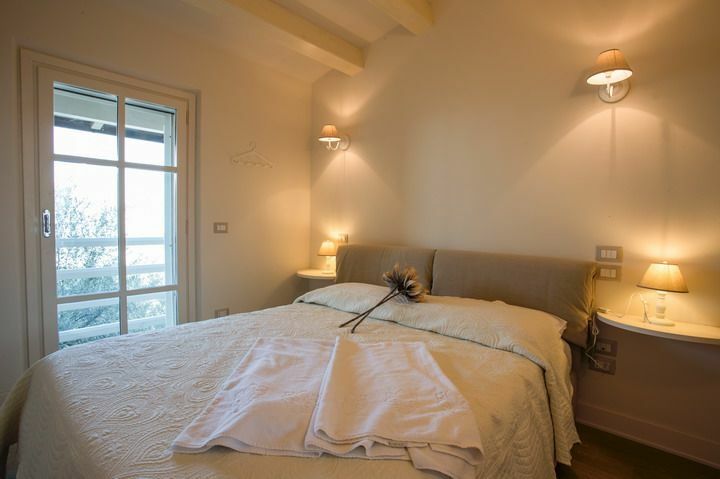 The lovely town centre of San Feliciano is just 900mt away and can be reached with an easy walk. 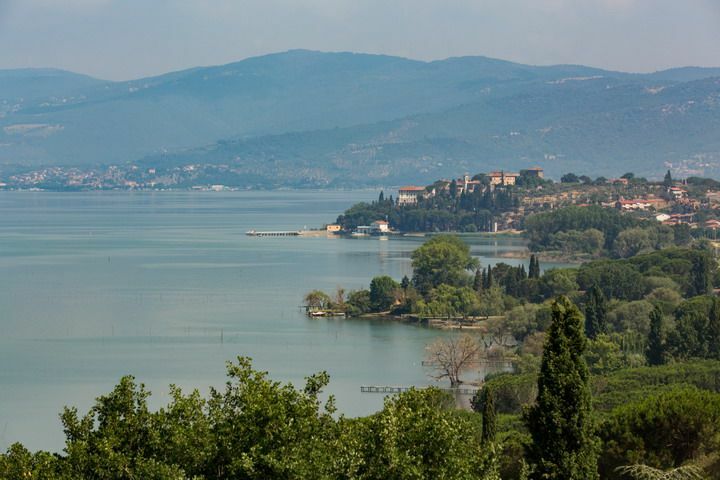 The lakeside promenade is touristic mecca, perfect anytime for both for a romantic stroll or for a comfort meal in one of the many restaurants which the lakeside boasts.